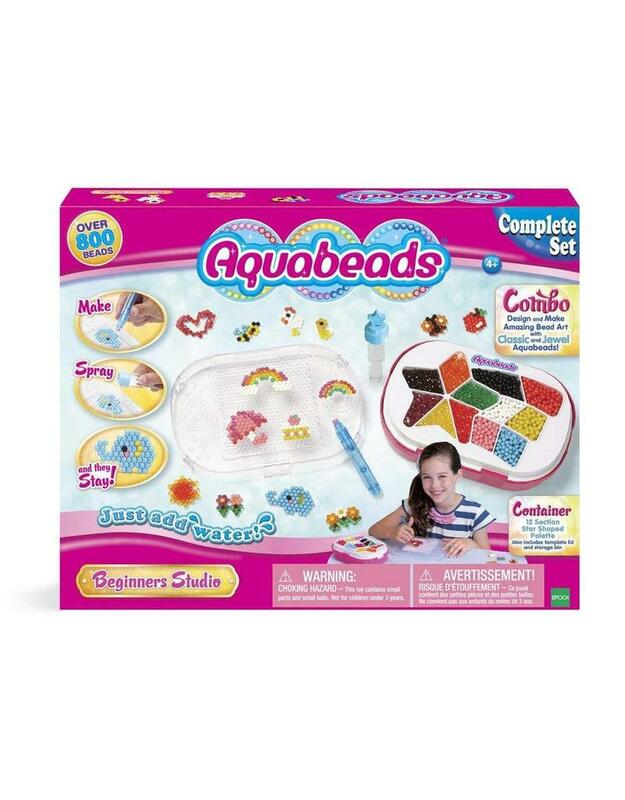 The Aquabeads Beginners Studio has everything you need to create amazing bead art! Store the 800 jewel and classic beads, in 12 colors, in the star-shaped palette. Select a design template and slide into place under the template lid, Create your bead art and spray with water, That's it! Let dry and your creation is complete! Use the storage bin to keep everything in one place when you are done, This kit includes storage bin with template lid, sprayer, 4 design templates, 800 jewel and classic bead pen and instructions.